The Eichleay Formula is one of the most used calculations when computing home office extended overhead damages in construction delay claims. Construction delay claims regarding extended overhead are among the most complicated claims and almost always require the services of an expert to both determine damages and how those costs can be recovered. 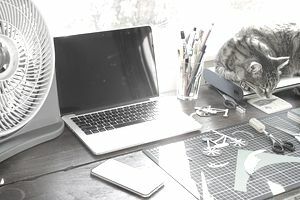 Home office overhead costs include salaries of management staff, clerical staff, utilities, supplies, dues, training, and insurances, to name a few. Since it is so difficult to separate the costs associated with a particular project, then these costs need to be properly identified by assigning a percentage of the total amount of these costs. Normally, Eichleay formula is used when the project has been completed, and costs are available and accountable. The Eichleay formula was established following a decision of the Armed Services Board of Contract Appeals in Eichleay Corporation, ASBCA No. 5183, 60-2 BCA 2688 (1960), used to calculate home office overhead. In 1984, the Federal Circuit held that the Eichleay formula was the most appropriate method of allocating home office overhead. Find the Contract Allocable Overhead - To find the contract allocable overhead, start by multiplying the total overhead cost identify during the total contract period by the proportion of billings from the delayed contract to total billings of the firm during the contract period. Home Office Overhead - To get the final amount, multiply the daily overhead rate by the amount of delay days caused by the project owner. The formula is considered an estimate and its accuracy can be questioned. Contractors can shift their overhead costs to other projects concurrent with the contract being challenged. The contractor must prove that delays decreased the stream of direct costs. You must provide further evidence that the actual office overhead costs are real, by using audited financial statements, information that many small contractors can’t afford. Some objects included in home office overhead, as entertainment and ads, can be questioned. Sometimes the contractor must prove that the bonding capacity has been limited. Resources such as equipment and labor were only available and are still in the 'limbo' just because the project has been delayed. Some of the contracts might have set a fixed fee for the contract profit. Some courts may not recognize Eichleay formula for calculating extended overhead. When the project has been substantially completed, it is hard to justify claims from office extended overhead. The reason for this is that it can be argued that expenses have already been paid to the contractor. Salaries and fringe benefits of management, clerks and security personnel. Be sure to include accountants, executives, and in some instances outsourced employees. All rented equipment such as copiers, phones, fax and other equipment. Internet, alarm systems, and any other monthly or recurrent cost. Marketing, advertising, and travel costs. Legal fees and human resources staff. Temporary and permanent office structures. Job specific rentals: equipment, labor, trailers, security, utilities and vehicles.